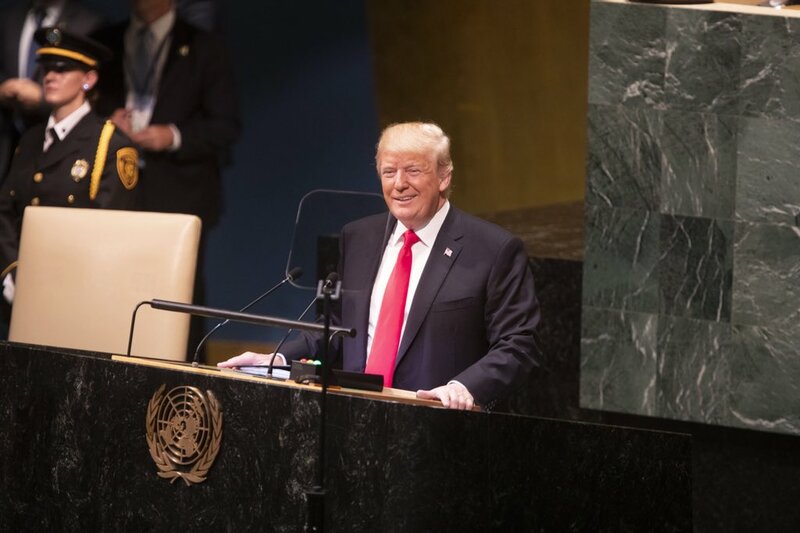 Fewer delegates were present at the Congress on August 2 than the July 4 ratification 45 to 49 respectively, Generals George Washington, John Sullivan, James Clinton and Christopher Gadsden and Virginia Governor Patrick Henry were absent on that day and could not sign. While, not all the delegates were excited to sign the document, “John Dickinson of Pennsylvania and James Duane, Robert Livingston and John Jay of New York refused to sign, New York was the most reluctant state to endorse independence, they were among seven delegates present at the ratification, who did not sign the declaration. Although, “Carter Braxton of Virginia; Robert Morris of Pennsylvania; George Reed of Delaware; and Edward Rutledge of South Carolina,” opposed the Declaration of independence but signed the document “to give the impression of a unanimous Congress.” Among the delegates who signed the declaration after August 2, were Richard Henry Lee, George Wythe, Elbridge Gerry, Oliver Wolcott, Lewis Morris, Thomas McKean, Matthew Thornton, and the seven additional delegates added to the convention after July 4. The movement towards independence began in earnest in late 1775, when reconciliation with Britain seemed impossible with a banning of trade with the colonies. Benjamin Franklin started hinting of independence to France in December 1775. Independence talk reached a fever pitch when Thomas Paine published his pamphlet Common Sense in April 1776 arguing for independence. By June, the Continental Congress first brought a vote for independence finally doing so at the start of July. On July 2, the second Continental Congress meeting in the Pennsylvania State House in Philadelphia voted to sever ties with Great Britain’s monarchy and declare the 13 colonies independent; they ratified their vote on July 4, the day the nation celebrates American Independence each year. In June 1776, Virginian Richard Henry Lee introduced the resolution which 12 of colonies voted in favor to “dissolved the connection” with Britain, with only New York abstaining. (McCullough, 150) Lee first introduced the resolution on June 7, but New York, New Jersey, Pennsylvania, Delaware, Maryland and South Carolina were not willing to break with Britain at that point. 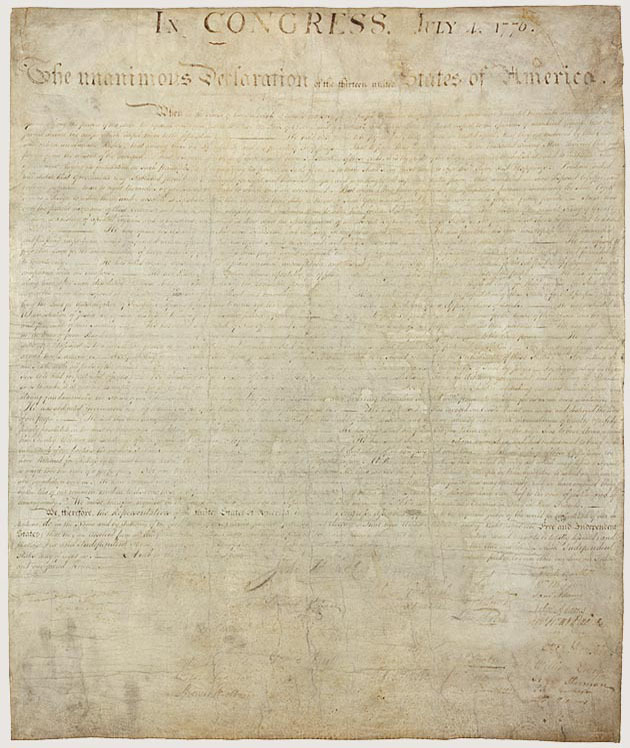 On June 11, Congress appointed a five-member committee to draft a declaration of independence and causes for separating from Britain, consisting of “John Adams of Massachusetts, Benjamin Franklin of Pennsylvania, Roger Sherman of Connecticut, Robert R. Livingston of New York and Thomas Jefferson of Virginia,” with Jefferson designated to write the document. Jefferson decided the document needed to convince the colonists of the need for independence and fighting in the revolution. He stated that government is a social contract with its citizens to protect their rights, “the natural rights of life, liberty, and property, for populist reasons Jefferson replaced to the “pursuit of happiness.” He derived the natural rights argument from political philosopher John Locke, who used in 1668, during Britain’s Glorious Revolution. Jefferson indicated when the government fails to fulfill the contract; it is “self-evident” that the people can break from the government. Congress reviewed the document’s final draft on June 28, and on July 1, the Congress took up the vote for independence again, however, they needed an unanimous vote, and waited for the next day, July 2, to vote. Jefferson submitted his revision to what was the Declaration of Independence, and the Congress ratified and published it on July 4 as a Dunlap Broadside officially severing ties with Britain and declaring independence. The Congress had printer John Dunlap make 200 copies of the Declaration. On July 8, Colonel John Nixon of Philadelphia read the document “to the public for the first time in Independence Square.” On July 19, the Congress ordered the Declaration engrossed and inscribed by all members of the Continental Congress, and most signed the copy on August 2. Although independence leader John Adams of Massachusetts originally thought July 2, the day Congress voted for independence would be celebrated writing, “The Second Day of July 1776, will be the most memorable Epocha, in the History of America,” the day Congress adopted the Declaration, July 4, remains the official day celebrated for the past 242 years. Adams wrote to his wife Abigail of the vote on July 3, “Yesterday, the greatest question was decided, whichever was decided in America, and a greater question perhaps, never was or will be decided among men.” Adams also predicted Americans would continue celebrating the date, “I am apt to believe that [Independence Day] will be celebrated, by succeeding Generations, as the great anniversary Festival. It ought to be commemorated, as the Day of Deliverance by solemn Acts of Devotion to God Almighty. It ought to be solemnized with Pomp and Parade, with shews, Games, Sports, Guns, Bells, Bonfires and Illuminations from one End of this Continent to the other from this Time forward forever more.” However, the date Adams referred to was July 2. The declaration of Independence’s purpose was practical but its impact far greater not only to the then newly formed United States of America but for other nations looking for a Democratic ideal. Historian Joseph J. Ellis in his book American Creation: Triumphs and Tragedies at the Founding of the Republic identified the significance of Jefferson’s first sentence. Ellis analyzed, “We can say with considerable confidence that these were destined to become the most potent and consequential words in American history, perhaps in modern history. They became the political fountainhead for all the liberal reforms that would seep out and over the nation, and eventually much of the world.” (Ellis, 56) On January 18, 1777, printer Mary Katherine Goddard of Baltimore printed out the final official copy of the signed Declaration of Independence was printed, it was the first time the delegates names who signed were made public. Ellis, Joseph J. American Creation: Triumphs and Tragedies at the Founding of the Republic. New York: Vintage Books, 2008. McCullough, David. 1776. London: Allen Lane/Penguin Books, 2006. Thackeray, Frank W. Events That Changed the World in the Eighteenth Century. Westport, Conn: Greenwood Press, 1998. On this day in history July 14, 1798, President John Adams signed into law, the immensely unpopular Sedition Act. It was the fourth of the controversial Alien and Sedition Acts meant to protect the fledgling nation plunged into a Quasi-War naval war with France but at the same time curtailed the freedoms guaranteed in the Bill of Rights of the Constitution ratified just seven years before. As the History Channel put it, the act was “one of the most egregious breaches of the U.S. Constitution in history,” “endangering liberty in the fragile new nation.” The laws furthered emphasized the divide between the newly formed political parties, President Adams’ the Federalists and the Democratic-Republicans head by Vice President Thomas Jefferson. The Federalists supported closer relations with Great Britain, while the Republicans sided with old Revolutionary War ally France. During the Quasi-War in 1798–99, France seized over 300 American ships because they were trading with Great Britain under Jay’s Treaty of 1795. France also refused “to accept the credentials of Charles Coatesworth Pinckney, the new American minister to France,” threatening to arrest him. Pickney along with John Marshall and Elbridge Gerry went to France to negotiate a deal to retrieve the “confiscated ships.” (Thackeray and Findling, 152) Three agents of French Foreign Minister Charles Maurice de Talleyrand demanded from the American commissioners $ 250,000 and a $10 million loan. When Pickney, Marshall, and Eldridge notified Adams he sent Congress that, he was denouncing the treatment and wanted Congress to prepare for a possible War. Republicans demanded proof, Adams sent Congress the Commissioners report, the incident became known as the XYZ Affair, for the letters referenced to Tallyrand’s agents. The moment was a great triumph for Adams as anti-French sentiment swept the new nation, Congress expanded the Army and Navy, with former President General George Washington agreeing to come out of retirement and lead the army with Alexander Hamilton as his second. Congress also cut trade with France but Adams would not agree to Hamilton’s demands for a formal declaration of war. Hamiltonian Federalists in Congress decided on the next best solution to maintaining Federalist control, the Alien and Sedition Acts. Publicly the acts were for national security protecting the country from France; privately Federalists aimed the laws at French supporting Republicans and their partisan press. The fifth Congress passed four bills in 1798 compromising the Alien and Sedition Acts. The Nationalization Act increased the residency requirement for citizenship to fourteen from five years. The Alien Act allowed the president to deport any immigrant deemed dangerous. The Alien Enemies Act could imprison immigrants whose country declare or threaten war with America. Finally, the Sedition Act, the only one of the four acts enforced. The law punished by fine or imprisonment anyone who made “false, scandalous, or malicious writing” against the government of the United States. The law clearly violated the First Amendment, Freedom of Speech and punished the Republican press, the Federalists greatest detractors. Ten Republican newspaper editors were prosecuted including Vermont Congressman Matthew Lyon, who received a four-month prison sentence and a $1000 fine. Republicans Jefferson and James Madison wrote the Kentucky and Virginia Resolutions, passed in their respective state legislatures declaring the laws a violation of the First and Tenth Amendments. 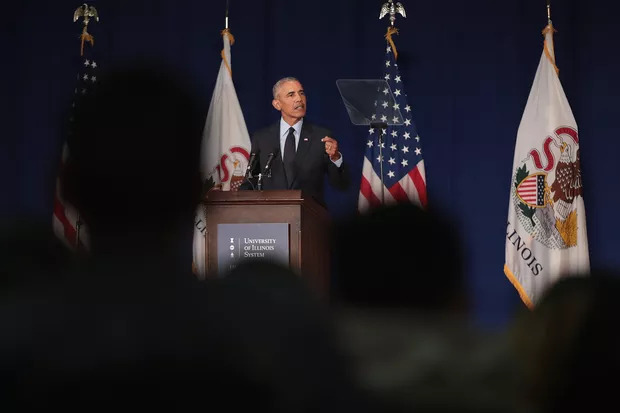 Their remedies called for a “states’ rights interpretation of the Constitution,” Madison called for states’ conventions to curtail federal power, while Jefferson suggested a state could nullify a law should they find it violated the Constitution. The resolutions were political, aimed at electing Jefferson president in 1800. Faced with a backlash Adams committed political suicide by breaking with Hamiltonian Federalists, resuming diplomatic negotiations with France, firing Secretary of State Thomas Pickering, and sending three new commissioners to France who negotiated a “forgive-and-forget agreement,” the Convention of 1800 with France’s new leader Napoleon Bonaparte. The Alien Seditions Acts and breaking with Hamilton secured Jefferson ascendency to the presidency and Adams’ defeat. Three of the Acts expired right before or early in Jefferson’s term, with the Alien Enemies Act the lone holdover used during the World Wars in the 20th century. Nearly, two hundred and twenty years later Republican President Donald Trump is preaching and enacting similar anti-immigrant laws in the name of national security with his travel ban, upheld by the Supreme Court and his attacks on the press, continually referring to them as fake news. Trump’s Hamiltonian rhetoric and actions have a precedence neither the press nor the public refuse to acknowledge; throughout American history the Constitution has been threatened by those in the highest offices pledging oaths to protect it. Findling, John E, and Frank W. Thackeray. Events That Changed America in the Eighteenth Century. Westport, Conn: Greenwood Press, 1998. On this day in history July 11, 1804, Vice President Aaron Burr kills founding father and political rival Alexander Hamilton in a sunrise duel in Weehawken, New Jersey, Hamilton would die the next day on July 12. The political rivalry was both political and personal, representing the worst in partisanship between the Federalists and Democratic-Republicans. Historian Joanne B. Freeman called it in her article, “Dueling as Politics: Reinterpreting the Burr-Hamilton Duel,” “the most famous duel in American history.” The duel or “affair of honor,” also represented an extreme example of partisanship in the nation’s history. While the political rhetoric between Democrats and Republicans appears the most polarizing with the presidency of Donald Trump, in the era of the first emergence of the two-party system, political rivalries took on a more dangerous tone then a Twitterstorm with the soon fading art of the duel. Hamilton was born in the West Indies, orphaned as an adolescent, and sent to the colonies for his education, later graduating from King’s College. Then he joined the Continental Army under General George Washington, eventually becoming his aid. Hamilton rose to prominence as a delegate at the Constitutional Convention, where he argued for a strong centralized federal government. Washington appointed him as the first Secretary of the Treasury and his monetary policy including the creation of the first national bank was essential to the new nation keeping economically afloat. In contrast, Burr was born to a rich New Jersey family, where he graduated the College of New Jersey, before entering the Continental Army, where he gained prominence during the attack on Quebec. After the Revolutionary War, Burr ran for New York’s State Assembly and in 1790 was appointed to the Senate. Burr and Hamilton’s rivalry began in 1791, when Burr won a Senate seat away from Hamilton’s father-in-law Philip Schuyler, a Federalist. Hamilton kept exacting revenge on Burr. Hamilton’s attacks go back to 1796, when Burr ran for the Vice Presidency against Thomas Jefferson, claiming, “I feel it is a religious duty to oppose his career.” In 1800, when running mates Jefferson and Burr tied in the Electoral College, Hamilton swayed Federalist Congressman the House of Representatives to break the tie and back Jefferson with a blank vote as opposed to Burr, who wanted now wanted the presidency and refused to step aside. In 1804, Aaron Burr was not renominated as Vice President on Jefferson’s ticket and decided to pursue the governorship of New York since Governor George Clinton, was chosen as the Democratic-Republican Vice Presidential nominee. Again Hamilton intervened, Federalists were divided between Alexander Hamilton supported candidate Morgan Lewis and Burr, Hamilton support for Lewis again lost Burr a nomination he coveted. Burr’s final response was to challenge Hamilton to a duel, Hamilton, who had been involved in ten previous shotless duels, agreed. Most duels, were resolved peacefully before any shots are fired, however, Burr wanted his honor restored and Hamilton refused to recant his slanderous attacks against Burr. Burr felt needed to fight a gentleman and prominent politician as Hamilton to restore his reputation. Duels were illegal in both New York and New Jersey, but New Jersey was lenient and Weehawken across the Hudson was a popular ground for duels. When the Burr and Hamilton met at 7 a.m. on July 11, there are conflicting recounts as to what occurred from Burr and Hamilton’s second’s Van Ness and Pendleton, respectively. The seconds had their backs facing the duelers both claim the shots were “within a few seconds of each other.” Hamilton chose his position as the one challenged, and supposedly fired a shot in the air above Burr’s head, shots to the ground ended duels; Hamilton sent a conflicting message to Burr. Burr responded shooting Hamilton in the abdomen near his hip, the bullet ricocheted and lodged in Hamilton’s spine, he collapsed immediately, and Burr was ushered away behind an umbrella. Hamilton died the next afternoon at his physician’s home in New York. The outrage led to New York charging Burr for murder and dueling and his seconds for accessories to murder in August. In October, New Jersey charged Burr for murder as well. A number of Congressmen requested that New Jersey Governor Joseph Bloomfield have the charge dropped, which he did, New York eventually did the same. Burr was able to escape immediate prosecution because he was still the sitting Vice President, and he finished his term in Washington. Still, the court found Burr guilty of the misdemeanor dueling charge, which barred him from voting and holding political office for twenty years. Despite their roles in the early founding of the nation, neither Burr nor Hamilton were honorable politically. After completing his term as Vice President, where he presided over Samuel Chase’s impeachment, Burr figured out another way to continue his political aspirations. In 1805, Burr with Commander-in-chief of the U.S. Army General James Wilkinson planned to take over part of the Louisiana Purchase territory, and form a new country with Burr as the leader, Burr also considered “seizing” some of Spanish America for his new empire. Burr put in his plans in motion in the fall of 1806, gathering “armed colonists” and going towards New Orleans. General Wilkinson fearing the ramifications, told on Burr to Jefferson. In February 1807, Jefferson had Burr arrested in Louisiana, and he was tried in Virginia for treason, however he was acquitted. The treason and dueling charges destroyed his political reputation. Historian Thomas Fleming author of Duel: Alexander Hamilton, Aaron Burr, and the Future of America does not have any more confidence that Hamilton would have been much better than Burr if he lived. In the CNN article entitled, “What if Aaron Burr had missed Alexander Hamilton?” Fleming described Hamilton as authoritarian leader who would have changed the course of American history and going against the Constitution, he was a part of creating. Fleming claimed Hamilton would have won the presidency in 1808, captured Canada in the War of 1812 creating the United States of North America. He would have broken apart the state of Virginia to smaller states, invade Spanish America to acquire Florida and Texas, and install a “puppet government” in Mexico. Hamilton would have industrialized America quickly, and abolish slavery. Fleming concluded, “A handful of historians would begin debating an even more taboo topic. Astounding as President Hamilton’s achievements had been, they would begin asking each other whether it was a good thing that Aaron Burr had missed on July 11, 1804.” With the Presidency of Donald Trump journalists and historians find his behavior either unprecedented in American history or desperately try to compare to him to previous presidents, but many of his words and actions resemble Hamilton’s worst excesses; views of the journalists, presidency for life, and sabotaging and fights with opponents. For all the recent reverence for founding father Alexander Hamilton, President Trump represents what a President Hamilton might have been. Fleming, Thomas. Duel: Alexander Hamilton, Aaron Burr and the Future of America. New York: Basic Books, 1999. Freeman, Joanne B. “Dueling as Politics: Reinterpreting the Burr-Hamilton Duel.” The William and Mary Quarterly, Vol. 53, №2 (Apr., 1996), pp. 289–318. Kennedy, Roger G. Burr, Hamilton, and Jefferson: A Study in Character. New York: Oxford University Press, 2002. On this day in history July 6, 1775, The Second Continental Congress issues the Declaration of Causes and Necessity of Taking Up Arms a day after adopting the Olive Branch Petition declaring fidelity to Great Britain King George III and a last appeal to avoid all-out war. The Congress, however, was leaning towards Revolutionary War, three days earlier on July 3, George Washington assumed command of the Continental Army. Thomas Jefferson of Virginia wrote the declaration and delegate John Dickinson of Pennsylvania, the author of the Olive Branch petition revised it. When the King would ignore the Olive Branch Petition and proclaim the colonies in rebellion, the colonies and Congress would set a course to independence just barely a year later. In the declaration, Congress set “forth the causes and necessity of their taking up arms.” Congress utilized the same plan as the Olive Branch; they blamed the British Parliament but not the King. They wrote, “The large strides of late taken by the legislature of Great Britain toward establishing over these colonies their absolute rule…” The Congress also blamed Britain’s minister, writing, the “new ministry finding all the foes of Britain subdued” and that they had “the unfortunate idea of subduing her friends also.” They avoid blaming the king instead, stating “parliament then for the first time assumed a power of unbounded legislation over the colonies of America.” The Congress blamed Parliament for the Battles of Lexington and Concord, and most presumably the most recent one the Battle of Bunker Hill. The King gave his response proving to the colonies, Parliament did not act alone. On August 23, 1775, King George III issued “A Proclamation for Suppressing Rebellion and Sedition” saying the colonies were in an “open and avowed rebellion” after the Battle of Bunker Hill. Then to force conciliation Parliament passed the American Prohibitory Act at the end of 1775, prohibiting trade or else American ships would be seized. It was the last straw; the time was ripe for the independence movement led by John Adams of Massachusetts. Thomas Paine would publish in January his pamphlet Common Sense arguing in favor of the colonies declaring independence and listing the grievances against both Parliament and the King. Historian Peter D. G. Thomas states, “The crisis of 1774 became the war of 1775 and the revolution of 1776” (p. 297). Just a day shy of a year later, on July 4, 1776, the Second Continental Congress would adopt the Declaration of Independence permanently severing ties with Great Britain and forming the new democracy, the United States of America. Ferling, John E. A Leap in the Dark: The Struggle to Create the American Republic. Oxford: Oxford University Press, 2005. Thomas, Peter D. G. Tea Party to Independence: The Third Phase of the American Revolution, 1773–1776. Oxford: Clarendon Press, 1991. On this day in history July 5, 1775, The Second Continental Congress adopts the Olive Branch Petition the thirteen colonies’ last appeal to avoid a full war with Great Britain. Delegate John Dickinson of Pennsylvania authored the petition, which as Historians Frank W. Thackeray and John E. Findling in their book Events that changed the world in the eighteenth century explain; “proclaimed loyalty to the king and asked that he repudiate his ministers’ actions.” The Congress made it seem their discontent was with Parliament, not the Monarchy. Even Congress knew the conciliation document was fruitless, and the next day, July 6, they adopted a Declaration of Causes and Necessity of Taking Up Arms written by Thomas Jefferson, while just on July 3 George Washington assumed command of the Continental Army. Congress was at the tip of a real break with Great Britain King George’s refusal even to read the petition pushed them over into full-on Revolutionary War. With the Olive Branch Petition, Congress acted under the assumption Britain’s King George III was unaware of the restrictive Coercive Acts the British Parliament imposed on the colonies. Congress decision came just after the first significant battle between the colonies and the British in the American Revolutionary War, the Battle of Bunker Hill in Massachusetts on June 17. Although the colonies lost to Britain, they had inflicted significant casualties, after the King began preparing for a larger battle and commenced their plans including sending troops and warships. Dickinson was also a delegate of the first Continental Congress and authored in 1774 the Petition to the King, in addition to the Olive Branch petition he revised Jefferson’s Declaration of Causes and Necessity of Taking Up Arms. Dickinson was the primary leader in seeking reconciliation, a move that John Adams of Massachusetts and the independence faction useless but hoped a failure would help the cause for independence. Dickinson had the help of Benjamin Franklin, John Jay, John Rutledge and Thomas Johnson, who “served on the draft committee.” The Besides an attempt and at conciliation and pledging fidelity to the King, Dickinson requested the repeal of the Coercive and that the King mediates between the colonies and Parliament. The colonies soon discovered King George III agreed with the Parliament’s actions toward them. Richard Penn and Arthur Lee delivered the petition leaving for London on July 8, 1775. On August 21, they handed the petition over the Colonial Secretary Lord Dartmouth and on September 2, they received their response, “We were told that as his Majesty did not receive it on the throne, no answer would be given.” The King refused to read the petition, and instead, on August 23, 1775, issued “A Proclamation for Suppressing Rebellion and Sedition” saying the colonies were in an “open and avowed rebellion” after the Battle of Bunker Hill. Then to force conciliation Parliament passed the American Prohibitory Act at the end of 1775, prohibiting trade or else American ships would be seized. It was the last straw; the time was ripe for the independence movement led by John Adams. Thomas Paine would publish in January his pamphlet Common Sense arguing in favor of the colonies declaring independence and listing the grievances against both Parliament and the King. Historian Peter D. G. Thomas states, “The crisis of 1774 became the war of 1775 and the revolution of 1776” (p. 297). Just a day shy of a year later, on July 4, 1776, the Second Continental Congress would adopt the Declaration of Independence permanently severing ties with Great Britain and forming the new democracy, the United States of America. Fremont-Barnes, Gregory. Encyclopedia of the Age of Political Revolutions and New Ideologies, 1760–1815. Westport, Conn: Greenwood Press, 2007. On this day in history, July 2, 1776, the second Continental Congress meeting in the Pennsylvania State House in Philadelphia voted to sever ties with Great Britain’s monarchy and declare the 13 colonies independent. The movement towards independence began in earnest in late 1775, when reconciliation with Britain seemed impossible with a banning of trade with the colonies. Benjamin Franklin started hinting of independence to France in December 1775. Independence talk reached a fever pitch when Thomas Paine published his pamphlet Common Sense in April 1776 arguing for independence. By June, the Continental Congress first brought a vote for independence finally doing so at the start of July. Although independence leader John Adams of Massachusetts originally thought the day Congress voted for independence would be celebrated writing, “The Second Day of July 1776, will be the most memorable Epocha, in the History of America,” the day Congress adopted the Declaration, July 4, remains the official day celebrated for the past 242 years. Virginian Richard Henry Lee introduced the resolution which 12 of colonies voted in favor to “dissolved the connection” with Britain, with only New York abstaining. (McCullough, 150) Lee first introduced the resolution on June 7, but New York, New Jersey, Pennsylvania, Delaware, Maryland and South Carolina were not willing to break with Britain at that point. On June 11, Congress appointed a five-member committee to draft a declaration of independence and causes for separating from Britain, consisting of “John Adams of Massachusetts, Benjamin Franklin of Pennsylvania, Roger Sherman of Connecticut, Robert R. Livingston of New York and Thomas Jefferson of Virginia,” with Jefferson designated to write the document. Congress reviewed the document’s final draft on June 28, and on July 1, the Congress took up the vote for independence again, however, they needed a unanimous vote, and waited for the next day, July 2, to vote. Jefferson submitted his revision to what was the Declaration of Independence, and the Congress ratified and published it on July 4 as a Dunlap Broadside officially severing ties with Britain and declaring independence. On July 19, the Congress ordered the Declaration engrossed, inscribed by all members of the Continental Congress, most signed the copy on August 2. Adams wrote to his wife Abigail of the vote on July 3, “Yesterday, the greatest question was decided, which ever was decided in America, and a greater question perhaps, never was or will be decided among men.” Adams also predicted Americans would continue celebrating the date, “I am apt to believe that [Independence Day] will be celebrated, by succeeding Generations, as the great anniversary Festival. It ought to be commemorated, as the Day of Deliverance by solemn Acts of Devotion to God Almighty. It ought to be solemnized with Pomp and Parade, with shews, Games, Sports, Guns, Bells, Bonfires and Illuminations from one End of this Continent to the other from this Time forward forever more.” However, the date Adams referred to was July 2. 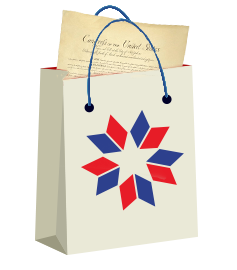 How can I Visit the Declaration in Person? On this day in history June 22, 1807, the British ship the HMS Leopold attacked the American frigate the USS Chesapeake on the Chesapeake Bay of the coast of Norfolk, Virginia, as part of British semi-warfare and impressments against American ships during the Napoleonic Wars. The engagement was a key event leading to the War of 1812, the final war between the two countries, but Presidents Thomas Jefferson and successor James Madison were able to stave off declaring war for another five years. The war between the two countries almost started earlier than in 1812 because of the Chesapeake affair in June 1807. Near the Chesapeake Bay, the British ship the Leopard under Captain Salusbury Pryce Humphreys pursued and then stopped the American warship. Humphreys insisted they come on board to retrieve a deserter. When the Chesapeake’s captain James Baron refused the British ship opened fire, killing three and wounding 18 including the captain, the Chesapeake was only able to get one shot fired in retaliation, after Barron surrendered. Humphreys still came on board taking four men, three of which were American with citizenship but had served on British ships. The Americans were Daniel Martin, John Strachan, and William Ware, all from HMS Melampus, two were African-Americans. Jenkin Ratford was the only British born on the ship and used to part of the crew of HMS Halifax. The three Americans were sentenced to 500 lashings but they were commuted because Britain later returned the three to the Americans. Ratford, however, was sentenced to death by hanging on the Halifax. Chesapeake’s captain, Barron was court-martialed and suspended from duty for five years. Britain eventually offered to pay for the damages to the Chesapeake. The incident caused an uproar in America because of the disrespect Britain gave America and humiliation to the nation’s honor. Many wanted the government to respond with force, even Federalists and Democratic-Republicans agreed on the matter. President Jefferson remarked the war fervor for war was more than for the battle that touched off the Revolutionary War. The President expressed, “Never since the Battle of Lexington have I seen this country in such a state of exasperation as at present, and even that did not produce such unanimity.” Madison was Secretary of State under Jefferson, and future President James Monroe was just a foreign minister. Monroe notified Britain of America’s demands, which included “British disavowal of the deed, the restoration of the four seamen, the recall of Admiral Berkeley, the exclusion of British warships from U.S. territorial waters, and the abolition of impressments from vessels under the United States flag.” Britain would not budge on the impressments. The nation, however, was not prepared for another war. Instead, President Jefferson responded on July 2, with a policy of “peaceful coercion,” which stopped sea trade to Britain and France. Congress proceeded to pass in December 1807 the highly divisive and unsuccessful Embargo Act of 1807. The incident heightened tensions between the two countries, America demanded respect and would not get it from Britain. Britain’s actions the next five years would cause economic hardships for Americans the humiliation would be enough for America to stand up and declare in what was considered the second war for independence. Thackeray, Frank W, and John E. Findling. Events That Changed the World in the Nineteenth Century. Westport, Conn: Greenwood Press, 1997. Tucker, Spencer, and Frank T. Reuter. Injured Honor: The Chesapeake-Leopard Affair, June 22, 1807. Annapolis, Md: Naval Inst. Press, 1996. PRESIDENT OBAMA: Well, this has been a wonderful visit. And I want to thank François for joining us here today. I thought this was an appropriate way to start the state visit because what it signifies is the incredible history between the United States and France. As one of our Founding Fathers, the person who drafted our Declaration of Independence, somebody who not only was an extraordinary political leader but also one of our great scientific and cultural leaders, Thomas Jefferson represents what’s best in America. But as we see as we travel through his home, what he also represents is the incredible bond and the incredible gifts that France gave to the United States, because he was a Francophile through and through. He drew inspiration from the Enlightenment ideas that had been developed in France and throughout Europe, but he also drew from the arts, from the architecture, from the writings, from the culture and from the cuisine of France. And so, in this sense, this home represents the bonds that helped lead to the American Revolution, helped to influence the French Revolution, figures like Lafayette, who played such a central role in our own independence — all this is signified here at Monticello. And our hope in starting our visit this way is that, just as we can extend back through generations to see the links between the United States and France, tomorrow we’ll have an opportunity to talk about not only our current bonds and alliance but also ways that we can strengthen our cooperation in the future. And of course, this house also represents the complicated history of the United States. We just visited downstairs where we know the slaves helped to build this magnificent structure, and the complex relations that Jefferson, the drafter of the Declaration of Independence, had to slavery. And it’s a reminder for both of us that we are going to continue to fight on behalf of the rights of all peoples — something that I know France has always been committed to, and we are committed to as well. And I’m looking forward to talking about issues of human dignity and human rights not just in our own countries, but around the world as well. So, Mr. President, welcome to Monticello, and we look forward to continuing our conversation tomorrow. PRESIDENT HOLLANDE: (As interpreted.) I would like to thank especially President Obama for having invited me to this house. This is Thomas Jefferson’s house, which means that this was a man who understood — met the secretary of Enlightenment, and he wanted to represent this life throughout this house. You can see life everywhere. You can see it the objects, in the refinement of the objects, and its architecture. Why is this house a symbol? Because here Lafayette was welcomed. Together, Lafayette and Jefferson imagined something that seemed impossible — mainly American independence and the rights of — human rights and the rights of the citizen. Thomas Jefferson drafted the Declaration of Independence, and Lafayette was also involved in drafting the Rights of the Citizen, and they met together in this house. PRESIDENT HOLLANDE: (As interpreted.) I also wish to confirm that this bond that unites us with Jefferson, that these bonds are sustained over time, because he represents values and principles. Freedom, human dignity, rights — these are the values to which we are continuing to fight around the world, the United States and France. We were allies in the time of Jefferson and Lafayette. We are still allies today. We were friends in the time of Jefferson and Lafayette, and we will remain friends forever. The Constitution’s framers were flawed like today’s politicians, so it’s high time we stop embalming them in infallibility. From left: Francis G. Meyer / Corbis; Bettmann-Corbis; CorbisFrom Left: Paintings of Alexander Hamilton, Paul Revere, and Thomas Jefferson. He may have written the Declaration of Independence, but were he around today Thomas Jefferson wouldn’t have a prayer of winning the Republican nomination, much less the presidency. It wouldn’t be his liaison with the teenage daughter of one of his slaves nor the love children she bore him that would be the stumbling block. Nor would it be Jefferson’s suspicious possession of an English translation of the Quran that might doom him to fail the Newt Gingrich loyalty test. No, it would be the Jesus problem that would do him in. For Thomas Jefferson denied that Jesus was the son of God. Worse, he refused to believe that Jesus ever made any claim that he was. While he was at it, Jefferson also rejected as self-evidently absurd the Trinity, the Virgin Birth, and the Resurrection. Jefferson was not, as his enemies in the election of 1800 claimed, an atheist. He believed in the Creator whom he invoked in the Declaration of Independence and whom he thought had brought the natural universe into being. By his own lights he thought himself a true Christian, an admirer of the moral teachings of the Nazarene. It had been, he argued, generations of the clergy who had perverted the simple humanity of Jesus the reformer, turned him into a messiah, and invented the myth that he had died to redeem mankind’s sins. All of which would surely mean that, notwithstanding his passion for minimal government, the Sage of Monticello would have no chance at all beside True Believers like Michele Bachmann. But Jefferson’s rationalist deism is not the idle makeover of liberal wishful thinking. It is incontrovertible historical fact, as is his absolute determination never to admit religion into any institutions of the public realm.